A convention of the Atlas Lodge Fraternal Organization, Central Ave. c.1920's. Shortly after the Civil War and the Emancipation, a small group of newly-free Black Americans started a settlement north-east of Tampa. At the time, Tampa was a tiny port town of only a few hundred people, and during reconstruction, it was common for groups of newly-emancipated people to build settlements in Florida’s frontier. 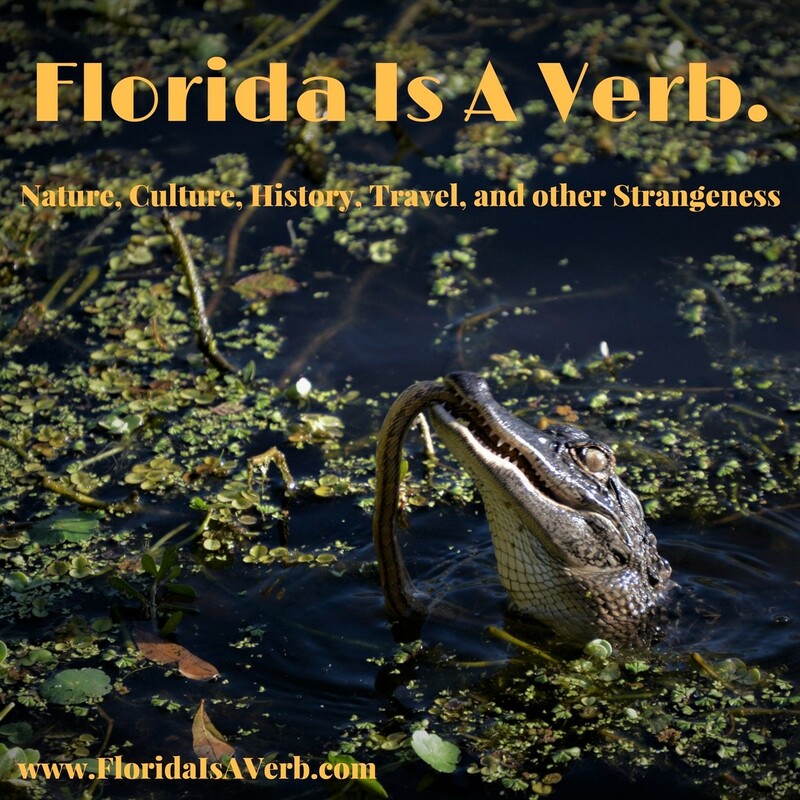 The area near Tampa became known, simply, as The Scrub, since it was just that, a loose collection of homes and small farms in a palmetto scrub. As the city boomed in the 1880’s due to the cigar industry and the railroad, The Scrub grew as well, taking in more African-Americans from other parts of the country, as well as Afro-Caribbean immigrants. The Scrub as it looked before the construction of the Central Park Village housing project in 1954. While racial segregation was the law of the land in Florida around the turn of the 20th Century, this was complicated by the fact that Tampa, unlike most cities of the former Confederacy, was never just Black and White. At this time, the majority populations in Tampa were Cuban and Spanish-- people with no connection to the Old South, and while informal racial and ethnic separation existed, formal segregation was not strictly enforced until well into the 20th Century. In 1895, the Hillsborough County Sheriff’s Office appointed its first Black Deputy, Levin Armwood (very unusual in The South at the time), Also around this time the Afro-Cuban Pedroso family owned and operated a prominent boarding house in Ybor City, and founded the Marti-Maceo Social Club, Black restaurant workers and laundry workers were organized alongside Spanish and Cuban cigar workers during the La Resistencia movement of 1899, and in 1904 an attempt to enforce segregated seating in Tampa’s streetcar system was quickly ended by a series of boycotts and protests. A Clipping on the Harlem Branch Library, one of the many projects of the Tampa Urban League. Rev. 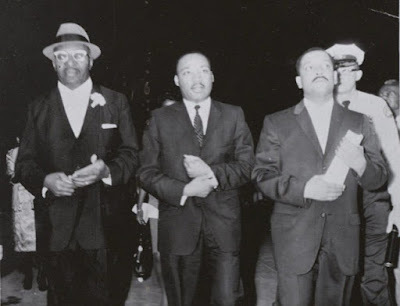 Leon Lowry with Dr. Martin Luther King, date unknown. Beyond these cultural contributions, Central Avenue was a center for community organizing and political action. Tampa’s Urban League began as an organization primarily interested in child welfare, but soon expanded to larger community projects, establishing a public school and a library in the neighborhood, and developing programs for job training, child care, and more. During the Civil Rights Era of the 1950’s and 60’s, Tampa Mayor Julian Lane established the Bi-Racial Committee, a group of Black and White community leaders meant to cooperatively navigate integration. 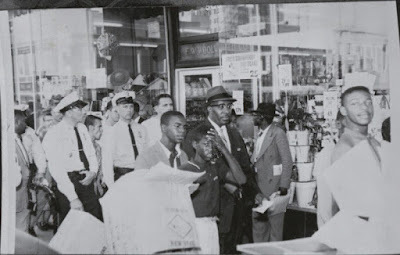 One of the Committee’s leaders Leon Lowry, pastor of Beulah Baptist Church (who was once a teacher of Dr. Martin Luther King) led a sit-in at the Woolworth’s Lunch Counter of Franklin Street. 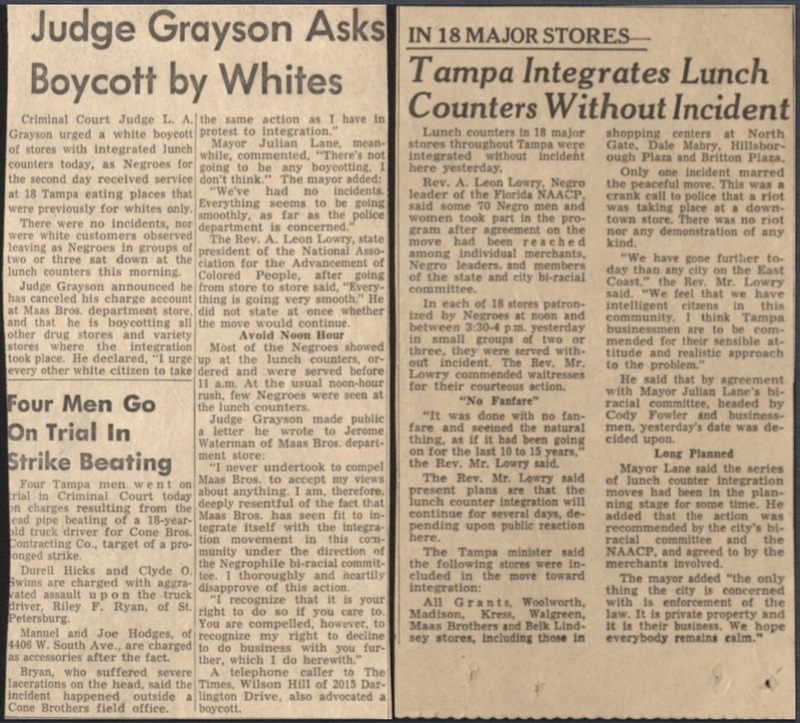 In contrast to similar sit-ins around The South, these Tampa protests were relatively peaceful, partially due to the cooperation of city leaders and business owners in the Bi-racial Committee. 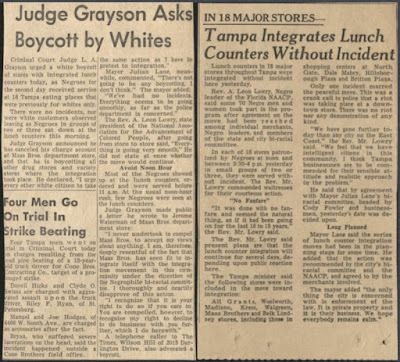 The “Tampa Technique” was soon adopted on the state level, with Governor Leroy Collins establishing a Florida Bi-racial Committee, a move that even supporters referred to as “political suicide.” The transition to integration was relatively smooth in Tampa, compared to other Southern cities, but it was still far from ideal, a local Criminal Judge called for White citizens to boycott businesses that served Black people, and local police were flooded with phoned-in threats of riots and bombings, none of which turned out to be serious. Top: Rev. Leon Lowry leads a sit-in at the Woolworth's lunch couter on Franklin Street. Bottom: Two responses to the Woolworth's sit-in. Still, other issues pressed down hard on Tampa’s Black community, specifically new ideas about urban planning and development: the Robert Moses model. 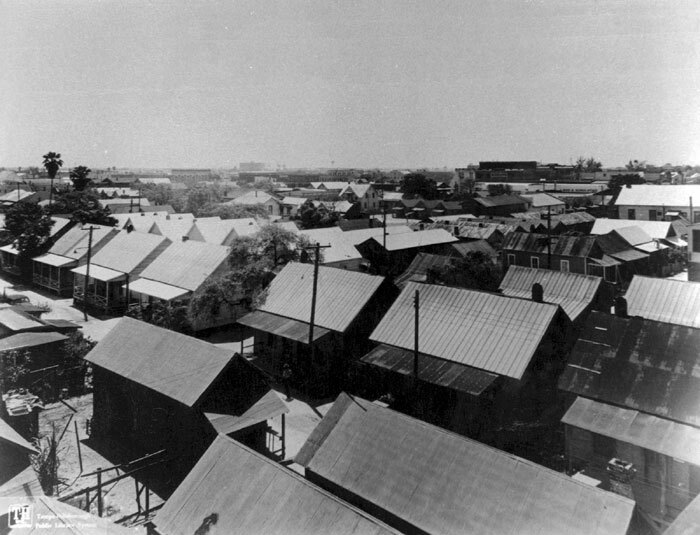 In 1954, many of the small single-family houses of The Scrub were leveled and replaced by the Central Park Village housing project. 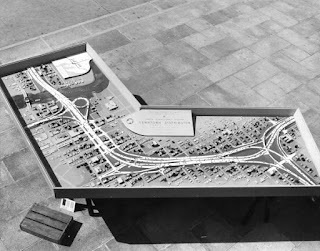 Then in the early 1960’s, much of the Northern half of the Central Avenue Business District was destroyed to make way for the Downtown Distributor Highway- which eventually became the segment of I-275 that runs through Tampa. Throughout the 1960’s, new highways provided easy access to the city from the (White) suburbs, but they carved up Tampa’s internal neighborhoods, displaced residents, destroyed homes and businesses, and created impassable barriers to pedestrian movement. As a result, at the end of the Jim Crow era, just as the people of Central Avenue and The Scrub were winning their civil rights, the neighborhood experienced deep economic trouble, and discrimination persisted in many facets of life. Throughout the 60’s, tensions built in Tampa’s Black community, and one day they boiled over. A Model of the planned Downtown Distributor Highway, which became part of I-275. On June 11, 1967, in the Central Park Village projects, 19-year-old Martin Chambers was shot in the back by Tampa Police Department officer James Calvert. Chambers had been suspected of a burglary at a nearby Phot supply shop. It’s unclear whether he was involved or not, and reports from the scene are conflicting, some witnesses say he was running away, others say he was standing still with his hands over his head. A crowd formed at the scene of the shooting and Officer Calvert fell to his knees and broke down crying, he swore he only meant to fire a warning shot over the teenager’s shoulder. Chambers died from his injuries later that night, and his death was a catalyst that caused the city’s simmering racial tensions to explode into a full-scale uprising. Groups of people began by attacking Central Avenue’s few White-owned businesses, smashing windows and looting, then an unknown arsonist started a fire at a grocery store, which spread to surrounding buildings. Citizens armed with bricks, bottles, and Molotov cocktails clashed with police, who fired tear gas canisters into the crowd. The next day, a meeting held at a local school failed to diffuse tensions, and by nightfall, the National Guard formed a perimeter around the area, but failed put an end to the uprising. 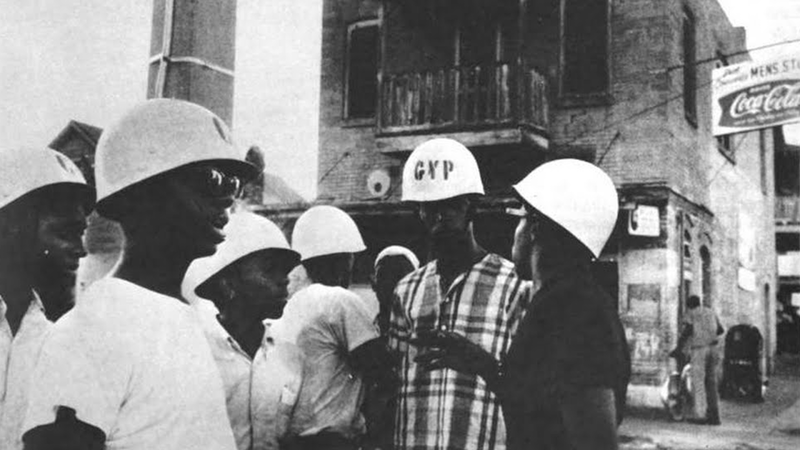 A local community organizer named James E. Hammond proposed an alternative to the militarized tactics of the Police and National Guard in defusing the conflict. He organized 126 young men from the neighborhood into the Citizen’s Youth Patrol- informally known as the White Hats for the white helmets they were issued. Though many of these same young men had participated in the riots themselves only hours earlier, they patrolled the streets administering first aid and calming angry crowds. 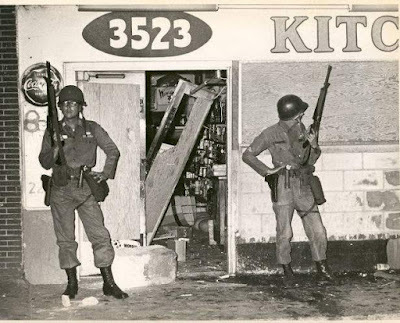 The National Guard in front of a grocery store on Central Avenue, 1967.
the Citizen's Youth Patrol, better known as the White Hats. The area never fully recovered, and by the end of the 70’s, further expansion of the highways and an aggressive ‘Urban Renewal’ project had erased most of the rest of the Central Avenue Business District. The Central Park Village Projects were demolished in 2007, and Perry Harvey Sr. Park was moved in 2016. Today, a massive high-rise development of apartments, condos, and retail spaces is rising in the area. The Encore development seems happy to bank on some parts of the history of Central Avenue and The Scrub, with a new street named after Ray Charles, and an apartment building named after Ella Fitzgerald. And some of the history of the area is being preserved in a series of monuments at a nearby park. History is a strange thing, it isn’t as true or factual as we often feel it is, it’s amorphous, moving, our interpretations of it changing with our own times and context. While it’s heartening to see any attempt to preserve and to teach about Tampa’s past, especially after so many years of paving over our past (sometimes literally). But I can’t help but worry a bit when the history of an area becomes part of the marketing packet for new high-rise. History is a strange thing- often in researching and writing about it, I find that I went in with a certain version of things that I thought I ‘Knew’ only to find the full story to be so much more complicated, difficult, and beautiful. And as Central Avenue changes again, It makes me wonder what version of this history will be most known, and most told.